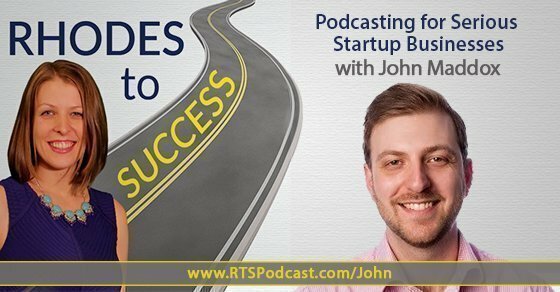 On this episode of Rhodes to Success, I interview John Maddox, who has been a serial entrepreneur and has had a few successful exits, most recently with Nashville-based interactive agency 10 Fast Feet. During this episode, John and I discuss circumventing the gatekeeper, overcoming ‘podfade,’ entrepreneurship, and looking long-term. Talk about being on Entrepreneur On Fire. What was your thought process around what podcasting would do? What have been the pain points you have overcome that have allowed you to continue podcasting? Talk about your entry into entrepreneurship and what it’s been like. Tell us about the last company you sold. Podcasting is a way to build relationships with people of significant influence. Big name guests want to share their knowledge and help other people; however, you won’t always get the people, and they won’t always respond. Direct messaging and tweeting is a handy way to reach people directly, as a lot of people manage their own social media. If there isn’t a direct revenue stream coming from the podcast, it is easy to lose focus on the relationship building. Don’t view what you are doing as big or small, but rather view it as giving you control over your life. As an entrepreneur, you are still relying on other people to write you checks. If you are the owner, you are the last to get fired, so if the business goes down, you don’t get laid off. The more you grow your business, you have to balance your cash flow with the client generation. A lot of people in the entrepreneurial world are very short-term focused instead of looking at mechanisms to leverage the ultimate goal. As a society, we have become conditioned to look a quarter or two ahead. Look outside the box on how you are going to circumvent your opponents. John wanted to shift away from the work for-hire-model to the work for equity and focus on the big picture of return on investment. On May 16, 2016, new laws go into effect under the jobs act that allow non-accredited investors to be equity investors in new companies. For the last 82 years, the only people who were allowed to invest outside of friends and family have been accredited investors. We will all now have the opportunity to be investors in companies.